Did you hear? It’s a very good time to join the Simply Creating team, actually it’s a GREAT time! I almost wish I could sign up again! I say almost, because I wouldn’t want to start over. 🙂 To join the team, just click here. Why is it such a good time? 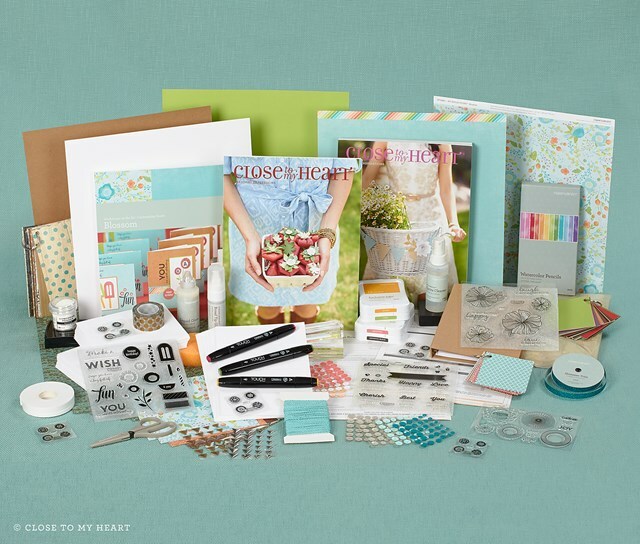 When you join Close To My Heart as a consultant during the month of March, you get some amazing perks! You will enjoy a discount on your favourite papercrafting supplies. You get an amazing New Consultant kit at a deep discount. You will have the opportunity to get even more: more money based on your sales, and more free product. You can earn money to help with your family budget or just pay for the extras. You will join a dynamic team of fun and passionate people who love the same thing you do, papercrafting! You’ll have the chance to earn fabulous trips like a cruise to the Caribbean! You can attend our Annual Conventions. This year’s is at Disneyland and next year is Disney World! You get to attend other smaller events, closer to home. You can make your own hours and do business how it fits you. But these are reasons that you’ll find every day, all year. So, why is March such a good time? Just for this month, when you join the CTMH family, you’ll get our fabulous shoulder tote totally free, yup FREE. That’s retail value of almost $30. It’ll be shipped with your New Consultant kit. But, wait, there’s more! 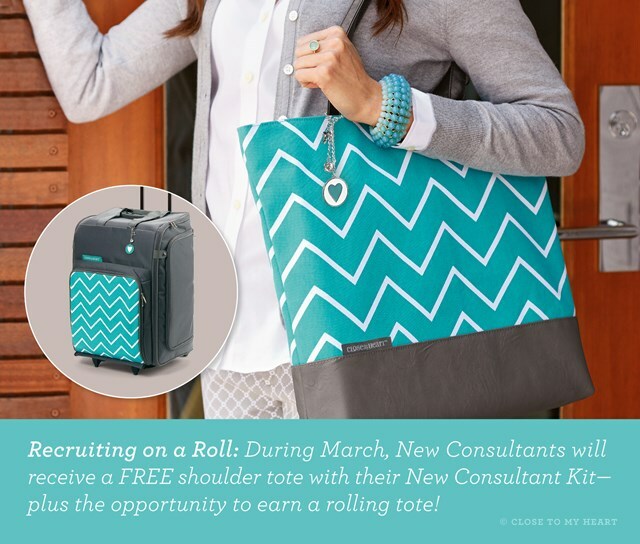 You’ll also have the opportunity to earn a FREE Rolling Tote! This thing is awesome and I’ve only heard Ooohs and Aaaahs about it. This super great tote retails for nearly $165 bucks. And, if you hit a certain sales level, you’ll get your kit cost back. That’s over $600 for FREE! Wow! 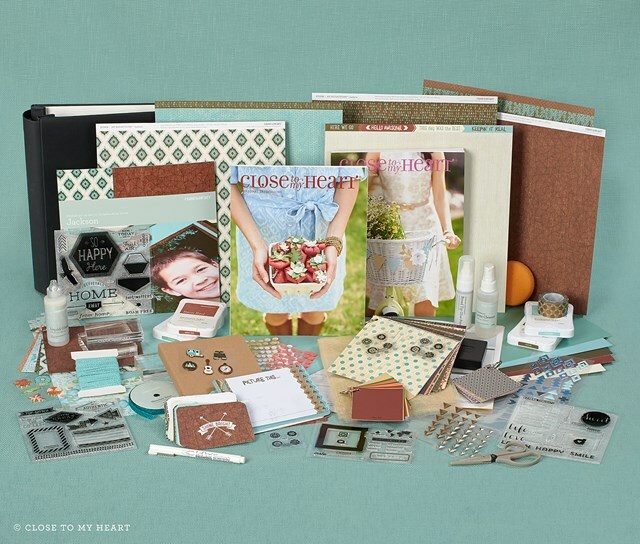 And here is the Scrapbooker’s New Consultant Kit. Isn’t the new product just beautiful! If you sign up now, you could have this brand new fun in your hands even before me, and certainly long before the rest of your friends since customers can’t order this product until April 1. So, if you’ve EVER even considered what a Close To My Heart business would be like for you, NOW is the time. Don’t miss out because you’re not sure. Maybe you think you don’t have time to do workshops and classes like I do. Maybe you look at your home and think “I don’t have room to do this.” Maybe you don’t think you’d be good at selling. Maybe getting up in front of people terrifies you Let me tell you, I’ve had those exact thoughts. But let me also tell you, I can help you do business at the speed of you, however it works for you and your family. Take the jump and see where it takes you! Click here to join our Simply Creating family.